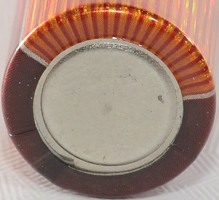 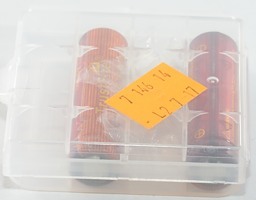 This is high current rated 14500 LiIon cells. 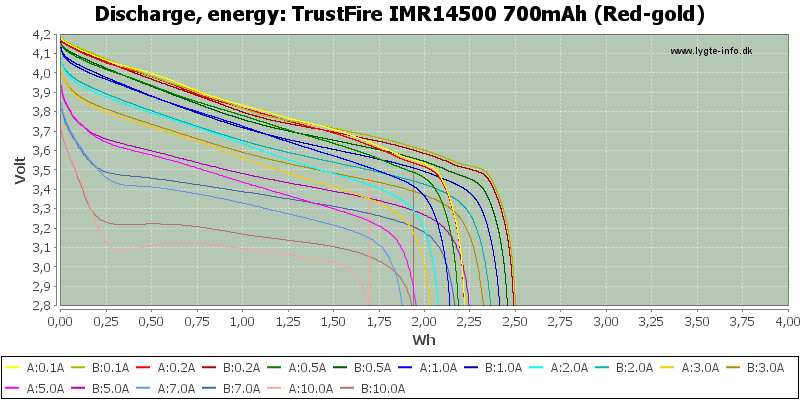 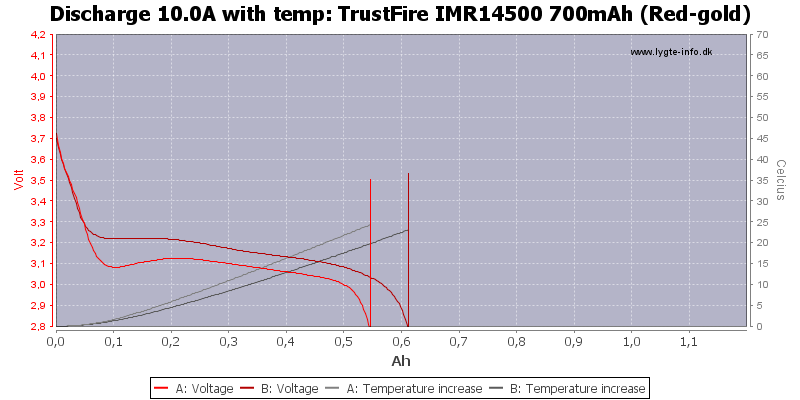 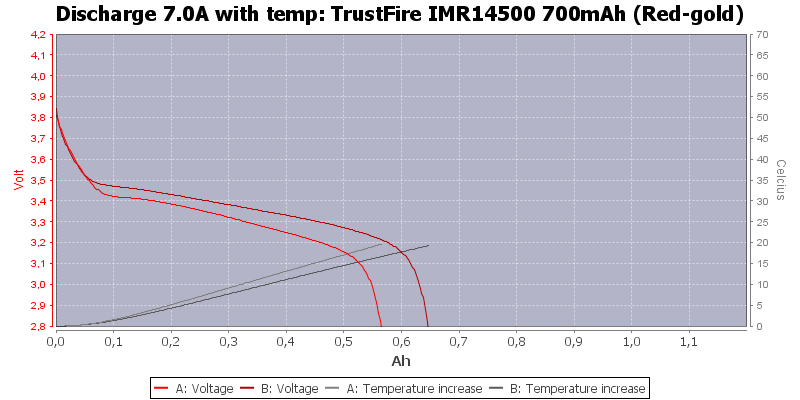 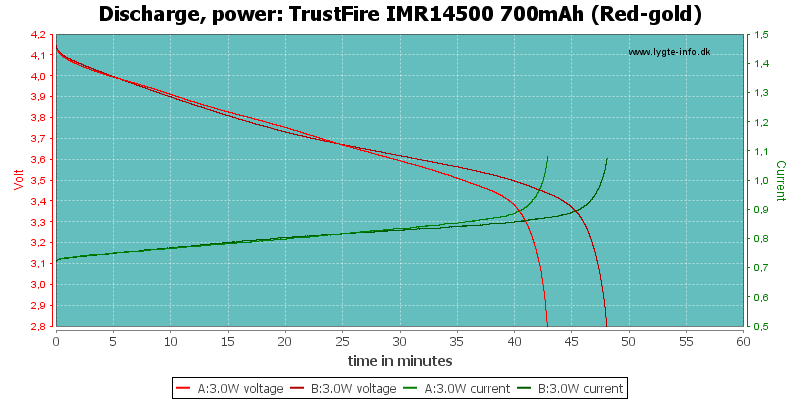 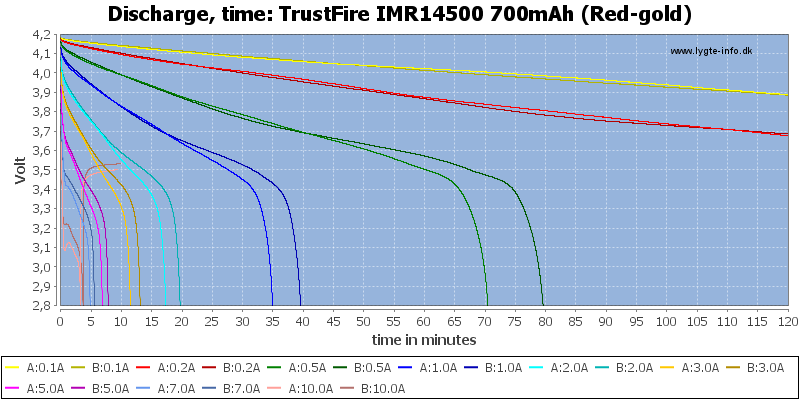 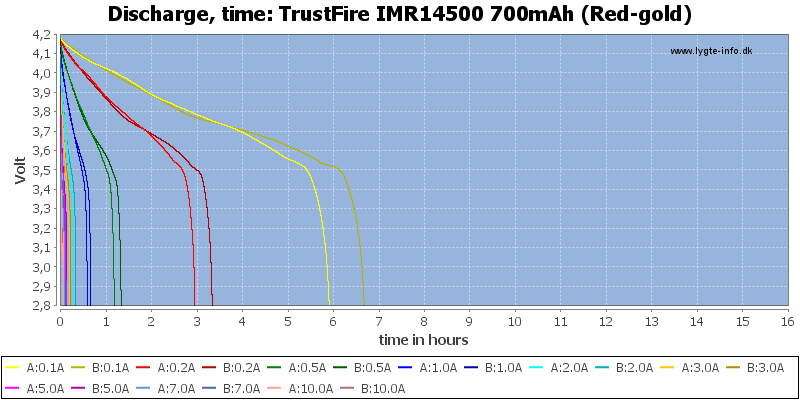 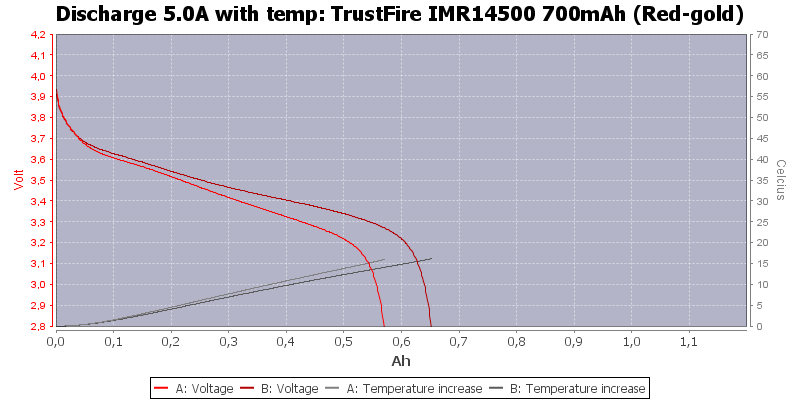 Can TrustFire be trusted? 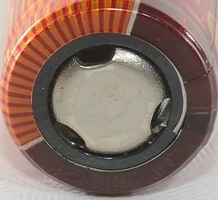 The two batteries in the pack has different capacity, but both handle up to 7A fairly well. 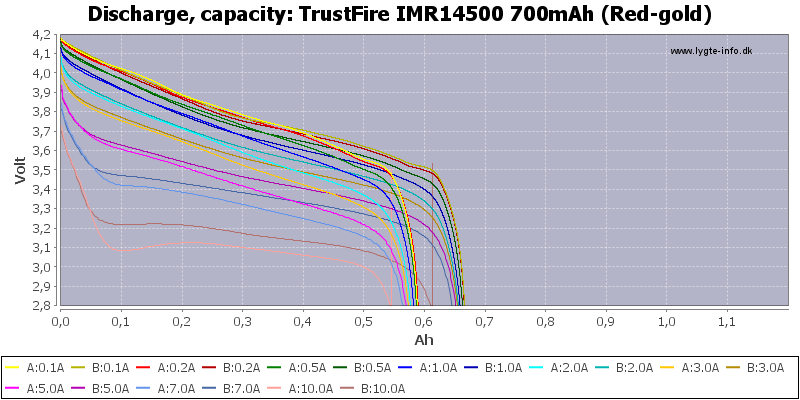 Very small capacity differences are usual acceptable, but here the difference more than 10%, not very impressive. 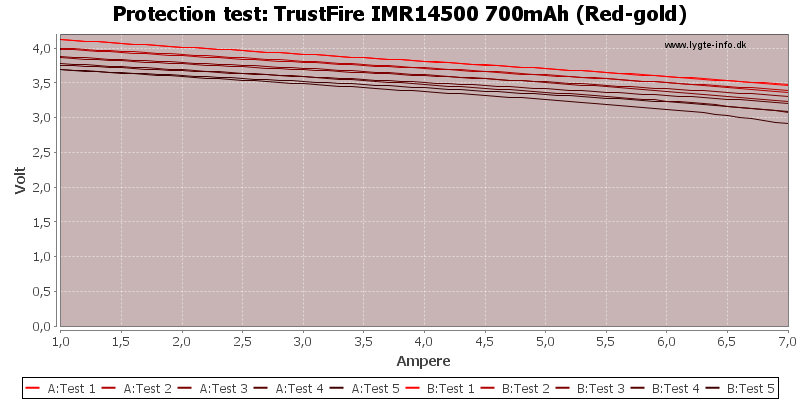 If both cells had performed as the best cell I would have called it good high current performance, but with this difference the final result is rather bad. 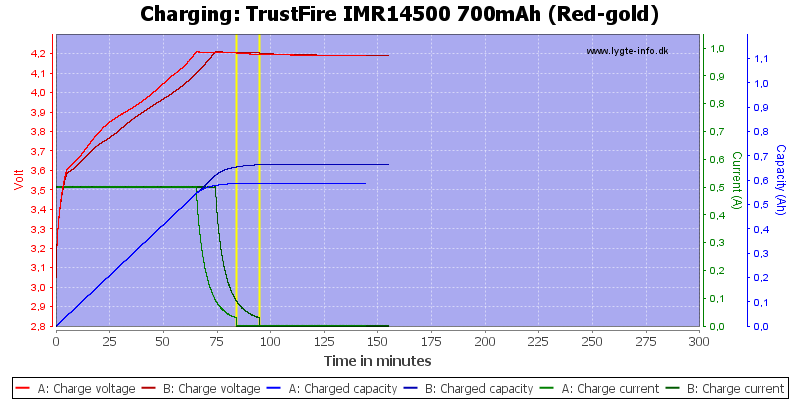 Unprotected cells with different capacity may exploded if used in series.